Born today: "So cute, so adorable, he'll be as smart as Einstein one day" 2 years later: "mischief, rough housing, but he is so smart!" 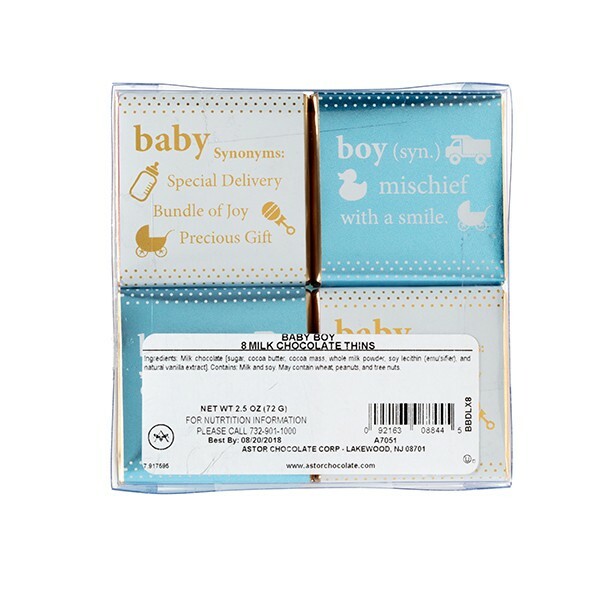 Let's celebrate all the rumbling and yet-to-come surprises baby boys bring into this world with a gift pack filled with Belgian milk chocolate squares. 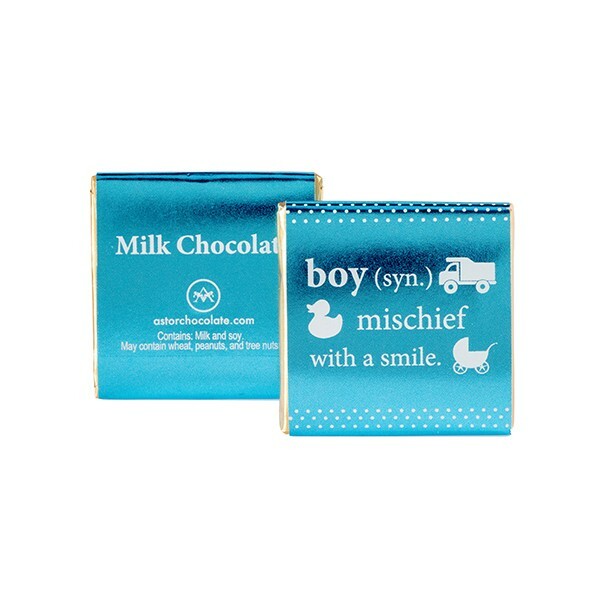 Each piece measures 1.75", in two adorable wrapper designs (Four blue and four white, both include gold foil). 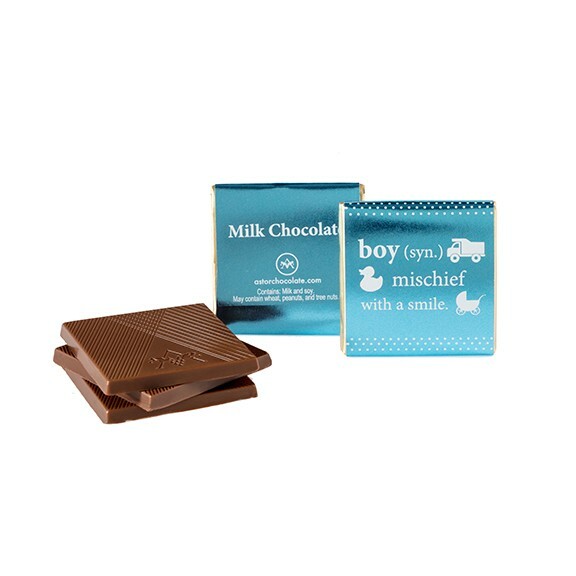 Milk chocolate (sugar, cocoa butter, cocoa mass, whole milk powder, soy lecithin [emulsifier], and natural vanilla extract).